Addison’s disease (adrenal insufficiency) is characterized by low cortisol hormones. Cortisol is the stress hormone, and when levels are high it can have a negative impact on our health. Cortisol is produced by the adrenal glands, but if the adrenal glands do not produce enough cortisol, it can lead to Addison’s disease. 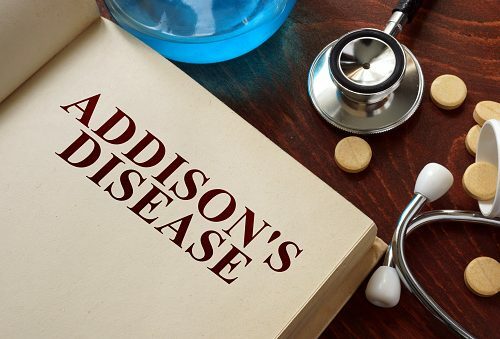 Addison’s disease can affect anyone at any age and, if severe enough, it can even be life-threatening. Common treatment for Addison’s disease is taking hormones that mimic the supply your adrenal glands would naturally produce. Addison’s disease occurs when the adrenal glands become damaged and cannot produce a sufficient amount of cortisol and aldosterone. The adrenal glands are located above the kidneys and produce hormones used by every part of the body. The adrenal glands are responsible for producing life-essential hormones, such as glucocorticoids, mineralocorticoids and androgens. Primary adrenal insufficiency is when the adrenal glands are damaged and can’t produce enough hormones. 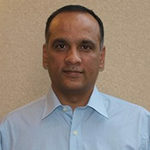 This can be caused by tuberculosis, infection of the adrenal glands, cancer spreading to the adrenal glands, and bleeding into the adrenal glands. Secondary adrenal insufficiency is when the pituitary gland becomes diseased. The pituitary gland produces a hormone called adrenocorticotropic hormone (ACTH). ACTH stimulates the adrenal cortex in order to produce hormones. If there is not enough ACTH, then other hormones will not be produced by the adrenal glands, even if the glands are not damaged themselves. Consuming sodium is also important; it can prevent dehydration because salt retains water. An increase in medications may also be required if you’re experiencing more stress than normal. This treatment is intended to prevent low blood pressure and blood sugar as well as reduce high levels of potassium. These treatment options are administered intravenously.